While preparing for our session. We looked at our current EPISD curriculum documents and found an engaging science lab called, "Stuck on You." 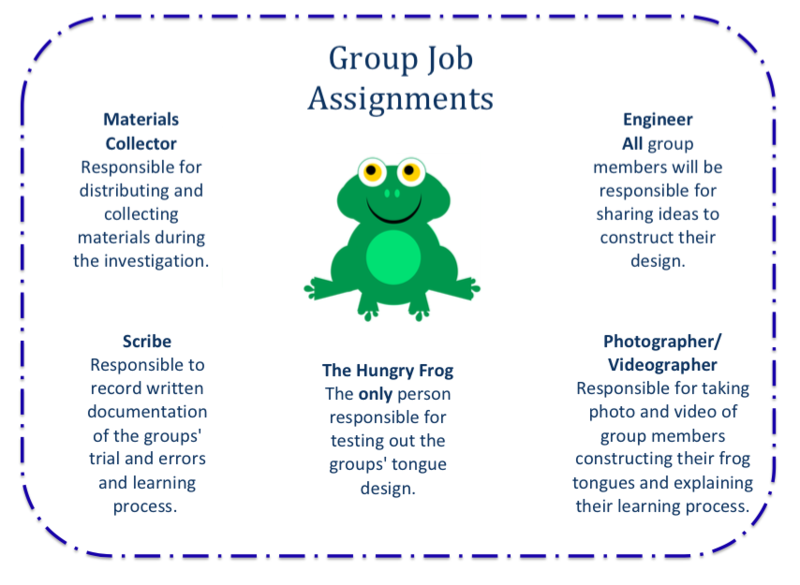 The lesson shares how to create an adapted frog tongue step by step. We decided to turn this into a STEM activity by having students construct a tongue without directions. Meet Ferdinand the Frog. He needs your HELP!!! A little frog adaptation research will help. How does Ferdinand the Frog's tongue work? How does it help him survive? Directions- Work with your group to construct a prosthetic tongue that will help Ferdinand catch his next meal. We will take the best designs back to the zoo. Slow Motion Camera Free- This app will transform your video into a slow motion video. You can save it to the camera roll. 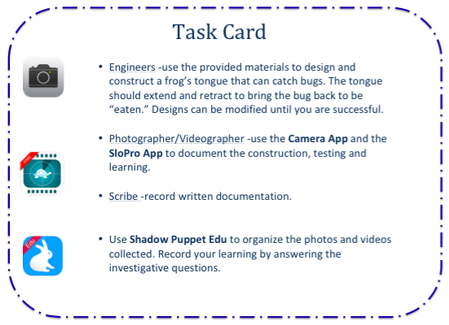 Shadow Puppet EDU- Use this app to bring your photo and videos together and explain what you learned throughout the process.